"A Welder is no longer welding but wants to maintain his qualifications “period of effectiveness”. We allow them to weld 4 hours in production to maintain that qualification. Of course they could always retest, yet 4 hours seems like a short time to stay “in the groove”. What say you?" As with any skill, ones ability to perform welding will very person to person. Most Welders can pick up a stinger after a 25-week layoff and start in right where they left off. Others need time to get back “in the groove”. As a good friend, Jeff knows me as a “literalist” when it comes to code speak. His question made me do a little digging, of which I enjoy and from which I always learn. I reviewed several AWS, ASME and API documents and found one commonality. All required requalification testing when there is reason to question the Welders ability. Beyond that, they varied. API-1104 makes no mention of a 6-month time frame. ASME Sec IX and AWS D1.1, D1.3, D1.5 and D14.3 all have similar statements; “The Welders qualification shall remain in effect indefinitely unless the Welder has not engaged in the process for a period exceeding 6 months.” None of the codes/standards I reviewed mentioned a “hands-on” minimum number of hours to maintain qualification, nor did their commentaries suggest one. Imagine in a production environment such as Jeff's, a Welder with 2 years experience decides to mix it up a little and takes a job in the Paint Department. After 6-months can they still be considered a Welder? Possibly. How about after the next 6-months? Then the next? Four years after taking that Painter position this Welder has accumulated only 32 hours of welding experience, 4 hours at a time. Now I’m beginning to develop a reason to question his/her ability. As welding decision makers we need to pass judgments’ based on code requirements and code intent. I’ve always fell back on, “Is there reason to question the Welders ability?” If there is not, then allow him/her to practice their craft. If there is, re-test them and evaluate their ability to make sound welds. "What are the reasons to oscillate a weld process?" There are a number of ways and reasons a weld process would be oscillated. Oscillation is the side to side manipulation of a weld in progress. It is measured in amplitude (how far), frequency (how often) and dwell time (for how long). Spend any time around GMAW (Mig) robots and you'll notice the torch is in a constant side-to-side motion. Typically referred to as a weave, this form of oscillation helps that robot find its way along the joint by monitoring changes in the arc. Another good example of oscillation would be a Pipefitter using the GTAW (Tig) process and a "Walkin' the Cup" technique. He or She will do this to minimize fatigue on their body, increase bead width and improve tie-in at the welds toe. A real craftsman will rock that Tig cup along the joint and make a beautiful finish weld, with a consistent face, completely around that pipe joint. It can be a real work of art (or a real cobbled mess for that matter). Other types of oscillation may be manipulating the molten weld pool by using a magnetic force. Common with (but not limited to) mechanized GMAW and GTAW processes, this magnetic force will move the molten puddle (not the torch) from side to side. 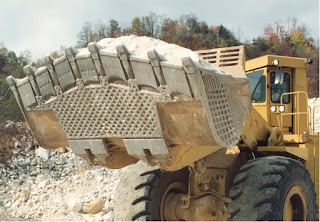 I've used this technique to increase bead width for customer appeal, but it can equally be used to improve sidewall fusion or tie-in at the weld toe. Some wire fed processes (SAW or ESW) will actually twist the electrode as it is fed as a form of oscillation. Oscillation helped a Steel Worker using Electroslag to fabricate components for San Francisco's Bank of America building. It aided the arm fatigue of a Pipefitter as he built Louisiana's River Bend nuclear power plant. It will also assist the Iron Worker that will build the One World Trade Center, to achieve better weld toe fusion, allowing his or her welds to transfer stress smoothly between support beams. I currently have the AWS D1.1-2006 Edition and was wondering if I should indeed get the 2010 Edition. 4.2.1 Qualification to Earlier Editions. “…The use of earlier editions shall be prohibited for new qualifications…." If you’re making welding decisions for someone under a contract you most likely need to upgrade. Somewhere in the contract documents, often right on the design prints, the code of record will be mentioned. All your answers need to come out of this code. If you are developing new weld procedures and/or qualifying welders, doing so requires you to use the latest revision. I just did a quick scan of my Codes & Standards library and count 60+ documents. That can be pricey. Some are the latest revision, others are old, well used and being held for sentimental reasons (Sigh: Remember that Beloit project? Shimmyin’ along 20” Sch. 80 pipe, 30 ft. up, in 24ºf and rain. Those were the days. Dream Over!). I've been able to build that library by asking those I contract with to supply me a non-pirated copy of the referenced code. Having the correct revision is critical to insuring you’ve made the right call. Today, all my most referenced codes and standards are stored on a 2g memory stick. Having what is needed to make the decision at the job site is as close as my car keys. Codes are reviewed on a regular basis. Teams of folks from our industries come together to form technical committees. These teams typically include members who: 1) apply the code in their workplace, 2) regulate the industry and 3) supply that industry. At regular intervals these groups come together to address suggested changes, sharing their experiences and knowledge and hammering out that next revision. In the past D1.1 was revised every 2 years. Beginning with 2010 they will make revisions on a 5 year cycle (pocket books rejoice). So this is a good time to be replacing that old code. Many of us keep an old code revision around that we use as a reference from time to time, but if your customers understand that "Welding shall comply with the latest revision of AWS D1.1 - Structural Welding Code - Steel" -or- If you are currently qualifying welders and/or procedures to D1.1, then you're going to need an upgrade. The answer came easy. Communication! I had a report sent to me the other day evaluating a set of bend coupons for a welder qualification test. The document stated, "All his welds looked very good except he failed the bend test in a few spots." This allowed for one of my “PWC Teachable Moments”. Words mean nothing if they are not intelligible. A CWI needs to be able to speak and write clear, accurate reports that state (in the words of Joe Friday) "Just the Facts, Ma'am". No opinions or spin, no half truths or sugar coatings. Just clear and accurate accounts of; what I saw, what I measured, what I found to be acceptable or what was unacceptable and why. I would also include in my reports what I couldn’t see, what was not measured and why. · Fillet welds were visually acceptable. · Completed test plate was visually acceptable. · Coupon 1 (C1), Root Bend, One discontinuity less than 1/32; Acceptable. · Coupon 2 (C2), Root Bend, One discontinuity greater than 1/32 but less than 1/8. One defect greater than 1/8. No corner cracks; Unacceptable. 50 years from now we could look at that documentation and draw the same conclusion. When a CWI is called on to review his past records, those records need to be clear. You may not recall the conditions that lead to your report, but you will be thankful that you developed a clear accurate report and that you filed it with copies of the marked up prints, inspection requirements, relevant WPS and WPQR’s. Pictures are an excellent means of communication. They can quicky clarify a condition to those not on-site. The thing missing in most photographed weld issues I’ve been involved in has been size perspective. I rarely photograph a weld that doesn’t show my 5 inch Starrett scale in clear focus. I also never “make the call” from a photo. There are far too many unknowns for my comfort level. Verbal communications can, at times, be emotionally elevated. Verbal communication needs to be clear and respectful. It is often the CWI who has to tell the Emperor “he has no cloths”. Statements need to be founded on adequate knowledge of the facts and the inspector needs to posses a background of technical competence pertinent to the issue. The CWI needs to get feed-back from those in the conversation to insure the message is being received correctly and as intended. By far, communication, written, photographed or verbal, is thee key skill of today’s CWI. 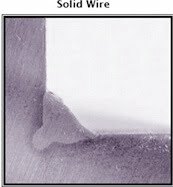 Our problem, we get linear porosity at the furthest point of penetration (heavy plate). The size of porosity is 0.3mm dia. but occurs regularly in every weld sectioned so far. Please suggest any steps, which should be checked. I would suspect that your weld penetration profile is showing “finger penetration” (Not sure if that is a real term but), a real deep area of penetration at the weld root. The profile is much deeper (at this location) than it is wide. This will cause this area to open up during solidification. Grab your copy of AWS D1.1 and check out the Commentary section at C3.7.2 “Width/Depth Pass Limitations” also, Figure C-3.2 “Examples of Centerline Cracking”. I was asked to troubleshoot a similar condition during a job interview for a former employer. To save money, they had changed a process from an 0.045 dia. electrode to an 0.052 dia. When they made the change they did not change any other parameters. The high wire feed with the larger diameter electrode created a considerable increase in current which equates to a considerable increase in root penetration. Like you, everywhere they sectioned, they had this pore, which I believe was more of a linear void. A reduction in WFS, although not popular, eliminated the problem. P.S. I got the job! Typically, a reduction in current (WFS) will reduce this finger penetration and this should remedy your issue. One other thing; yours is a weird shielding gas mixture. Not sure why you would go with so much Oxygen but I don’t know your whole story. If you can, replace the Oxygen with more Co2. Perhaps that will change your weld profile as well. "It's Good to be Me!" That's the way we've always done it. If someone tells me that one more time I may puke. One Christmas, a young girl was watching her mother prepare the ham for cooking. The mother took a sharp knife, cut off both ends of the ham,added all her other 'special' items for flavoring, put the ham in the pan and into the oven. The girl asks, "Mother, why did you cut the ends off of the ham?" "Why, I don't know, that's the way my mother always did it." Later, when all the family was together for the meal the mother asks "Mom,why did you cut the ends off the ham?" She says, "I can't recall, oh, Mom always did it that way." They look over to the Great Grandmother who is sitting in her seat smiling. Great Grandma says, "I had to cut the ends off because my pan was to short to fit the ham in whole." By pure observation, a habit, a procedure, a course in history may be set for generations that has nothing to do with the finished product, science,or fact. 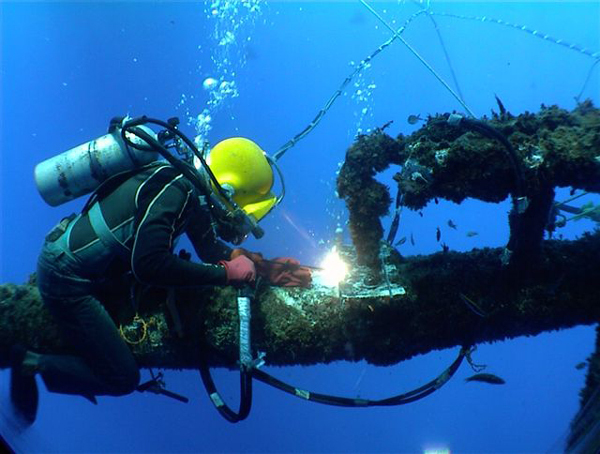 Which welds are required to be visually inspected and by who? These welding specifications are a little more applicable to the industry <> services. AWS D1.1 keeps it simple, Clause 6.9 – Visual Inspection, “All welds shall be visually inspected…” Section 10.6 of D14.1 is similar, “All welds shall be visually examined.” That doesn’t leave a lot of “wiggle room”. 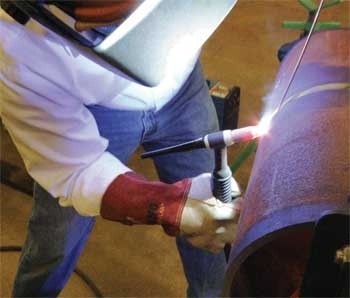 A qualified inspector needs to visually inspect all welds. 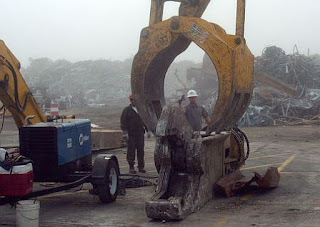 As to who the qualified inspector is, I told you over the phone that a Certified Welding Inspector (CWI) isn’t required. Welding codes and standards typically accept the qualifications of a CWI but they don’t require certification. AWS D1.1 and D14.1 require inspectors to be qualified and that the bases for qualification are documented. In addition, D1.1 requires a regular eye exam. As long as <> writes a qualification procedure for your inspectors, the inspectors conform to Para: (1), (2) or (3) [see D1.1 Para: 6.1.4.1 or D14.1 Para: 10.1.3] and <> maintains documentation that those inspectors meet the qualification requirements, visual weld inspection can be handled internally. As for what I had printed on the other side of my Hard Hat… “AWS D1.1 Sec 3.1, 2nd Sentence”. Look it up! But that’s a whole other column. "It's Good to be Me."